The Mediterranean Sea region is surrounded by 22 countries, which together share a coastline of 46000 km. About 250 million people resides in coastal hydrological basins and a 50% population growth was reported in 20 years at the end of the 90’s. Fragility and vulnerability of the Mediterranean system is well known and since the 70’s international efforts are ongoing to protect it. In this context, Earth Observation (EO) represents an opportunity for innovative science, applications and information services to face some of these issues as well as a potential catalyser for innovation and growth in the region. 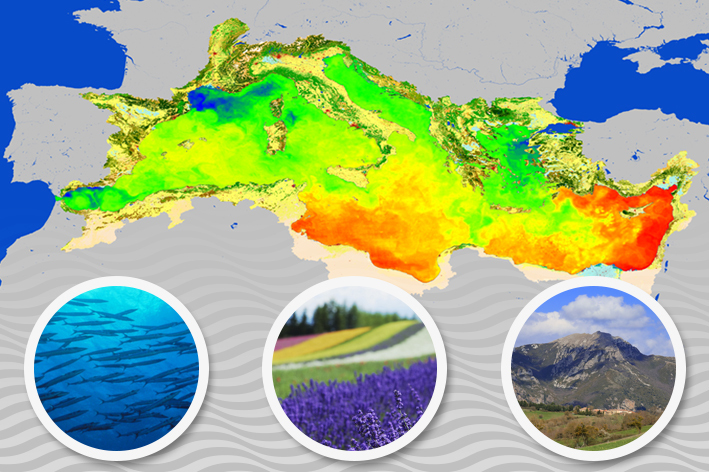 A user consultation meeting is planned from 11-12 December in ESA -ESRIN Frascati, Italy to define a roadmap for a Mediterranean initiative within ESA's EO Science for Society Programme Element, encompassing topics such as atmosphere, oceanography, climate and land research and applications.